When we first came to Children’s TherAplay, Austin was six years old and we were trying to teach him how to walk. He didn't know how to move his legs properly or coordinate all the muscles it takes to create a step and our trying to move his legs for him and hold him upright was a huge struggle. In a year's time, physical therapy at Children’s TherAplay has taught him how to walk. 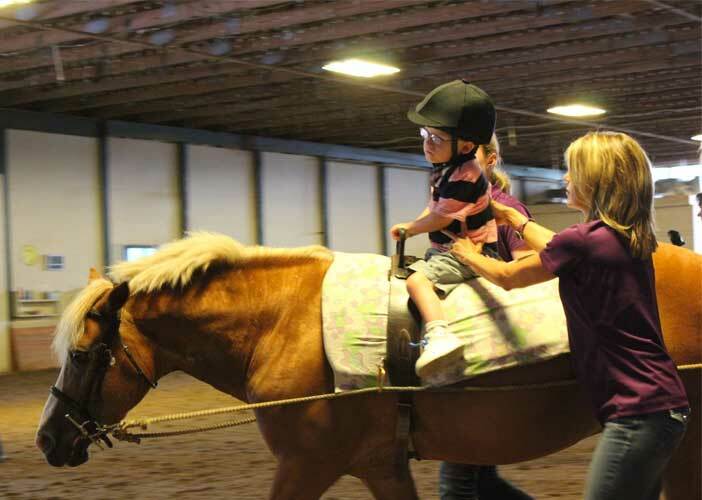 The motion of the horse moving his hips and the core strengthening from holding himself upright on the horse could not have been attained any other way. Today he able to walk with a gait trainer or by us holding his hands with a little support. Without treatment at Children’s TherAplay I really think he would have never have learned how to walk and would have been bound to the limits of a wheelchair. 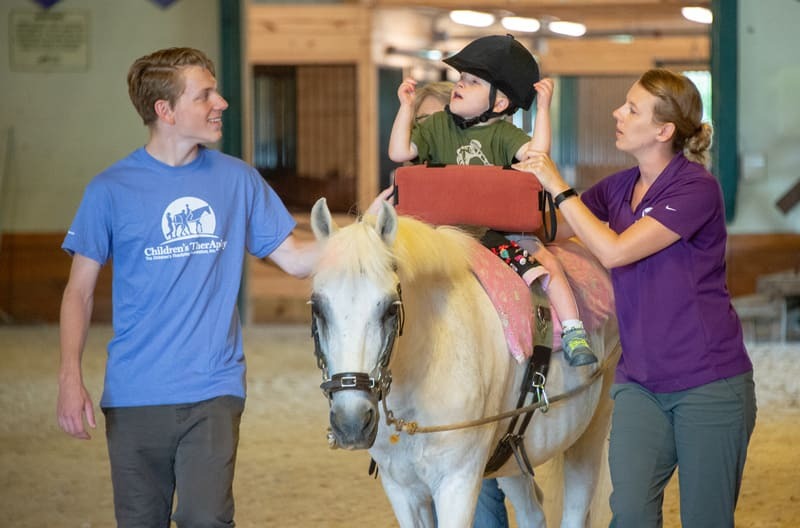 We owe Children’s TherAplay so much for expanding our son's quality of life and look forward to his next great strides under the expertise of this wonderful organization, its therapists, and its horses. He and his mother were featured in the following video. Created by FOX 59 News for the 2017 United Way of Central Indiana Simulcast, it celebrates "hand-raisers and game-changers" – among them, Children's TherAplay board member Anders Krohn, who initiated the #Horsepower500 – in Central Indiana.